We're proud to say our Catahoula Coffee Stout won first place at Fairfax Brewfest 2018! There were over 70 brews from 24 craft breweries, and we couldn't have done it without the great coffee beans from our friends at Catahoula Coffee. Catahoula Coffee Stout is part of our Richmond Collaboration Series. 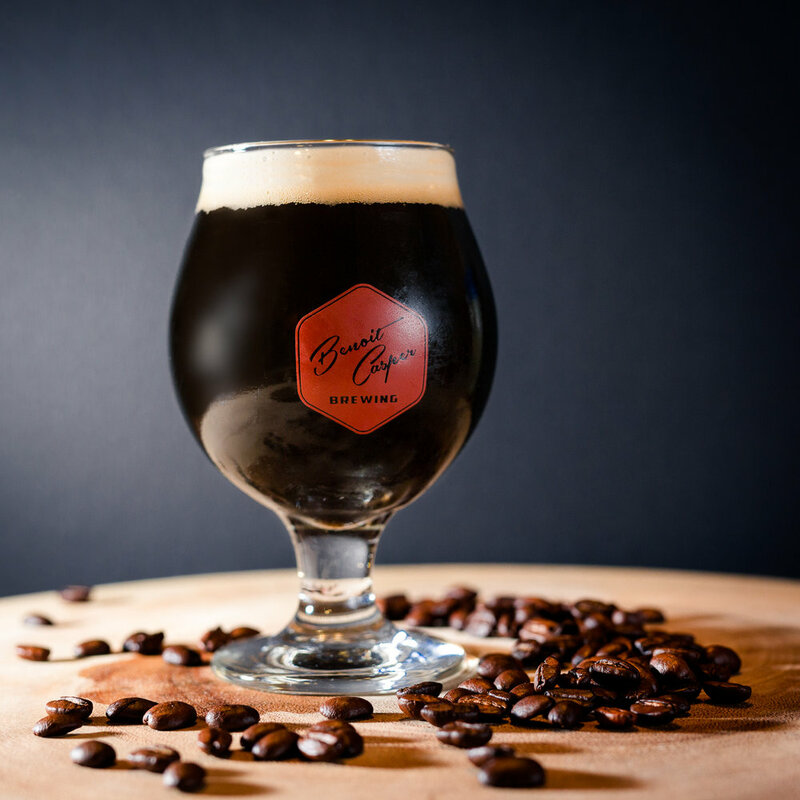 We combined our Foreign Export Stout with cold-pressed coffee from Catahoula Coffee Co. to create small batches of this rich and complex coffee stout. It’s that time of year again, SFBW! And your club is invited to the most popular event (besides the gala that is) the 2nd Annual BC Homebrew Competition! Last year, Queers Makin’ Beers won it all with their Yaaasss Kolsch. Who will run away with it this year? 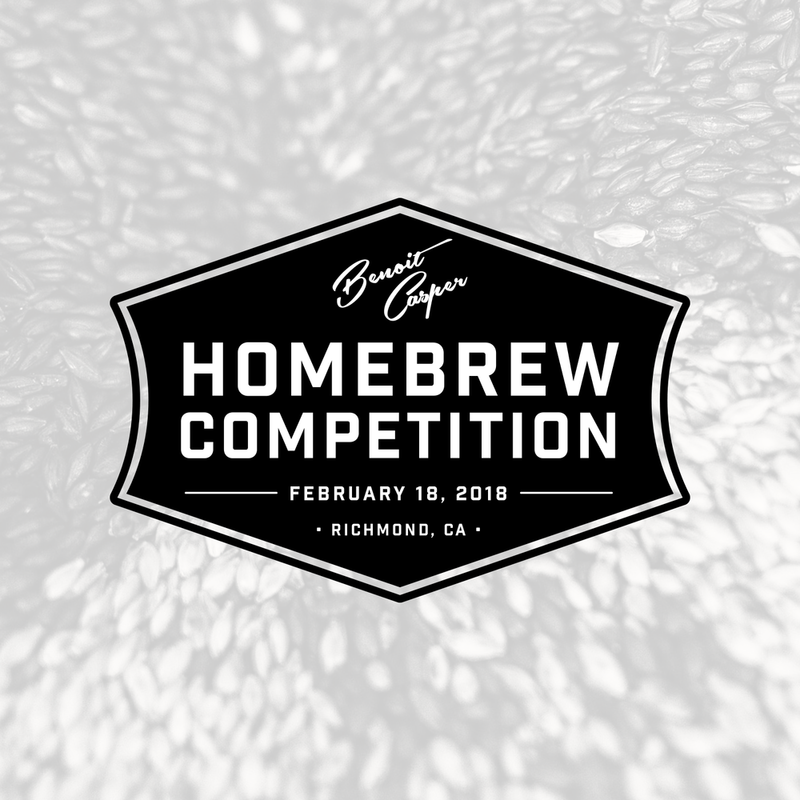 Compete with your homebrew club and come prepared with the gear and ingredients necessary to brew a batch onsite that you think can hold its own and reign supreme. Please allow your team to have enough time to set-up, brew, and pack up. Take your beer home, ferment and bottle them, then bring your masterpiece back to the brewery five weeks later to be judged by a BJCP judged panel. We will then hold an awards ceremony where your beers will be put on display for guests to taste and rate for an additional "peoples choice" award. This event is Rain or Shine so please be prepared and bring all the necessary equipment (IE Rain Jackets, 10x10 Pop-up Tents, etc). Please let us know in advance if you need any assistance in this department. Homebrewers! Official clubs get preference but all are encouraged to participate until our limit of 20 clubs/teams is reached. There is a $40 entry fee per club this year to help us cover operational costs. Please feel free to bring your family and friends as this is a fun, all-day event filled with beer, games, music, food, and good company. Yes, you will have access to water to brew with, for your chillers, and for any other purpose! Please bring your own hoses. Will I have access to electricity? Yes, there will be electricity on-site to run your pumps or any other small devices. Please bring your own extension cords. How long will I have to brew? You will have from 9am-5pm, please plan your brew accordingly! What styles can I brew? You can brew any 2015 BJCP style you’d like although we would discourage lagers due to the short time from brew to bottle. Please keep in mind that your beer needs to be bottled and submitted for judging by April 1, no fooling! Join us this Saturday 12-7pm for our Barrel Aged Bottle Release Party! 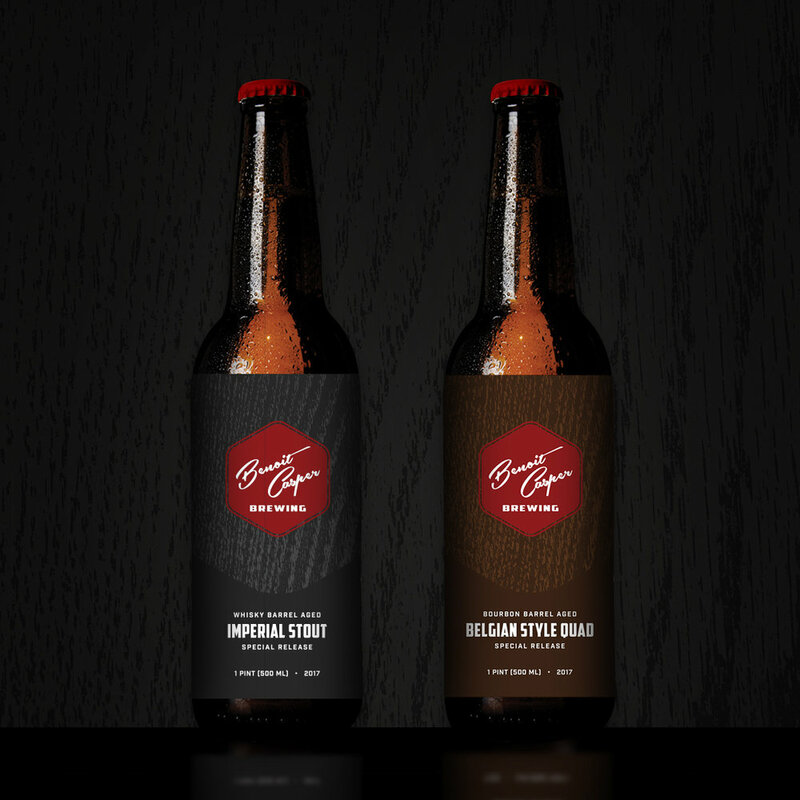 We're excited to share our Whisky Barrel Aged Imperial Stout and Bourbon Barrel Aged Belgian Quad in a limited edition wood crate holiday package. Treat yourself or give the gift of true craftsmanship with pints of our Benoit Casper brew aged to boozy perfection in Do Good Distillery barrels. Each wood crate includes a tulip glass to truly enjoy the quality of these two big beers! Our Imperial Stout delivers a symphony of lush dark chocolate, and coffee with a light, smoky finish. Aged in Do Good Distillery Benevolent Czar whisky barrels to add toasty oak and subtle spice notes, this is one beautifully big beer inspired by an equally beautiful, big man - Jim Harrelson. This big, boozer beer was inspired by Jim Harrelson and aged in Do Good Distillery California bourbon barrels to develop smooth, subtle notes and a softness that belies it’s high abv. 4oz and 8oz pours will available on tap of our new beers! Limit two packages per person. Well behaved dogs also welcome! Veterans, we thank you for your service. Come by our taproom for 1/2 off on your first two pints of beer this Saturday, November 11. We would also like to extend a special thank you to our two veterans on staff, Joe and Mike! See you all this weekend! It was great to have the opportunity to pour our Gold Medal winning Vienna Lager at the California State Fair in Sacramento, CA!